Engine-supply contract is the largest yet for one of the oldest powertrain suppliers in the business. McLaren neither builds its own engines, nor sources them from another automaker. It has them built to its specifications by a performance-powertrain specialist. And it's just renewed its supply deal to keep them coming for a slate of new models it has in the pipeline. Founded in 1915 and based on the shores of the English Channel, Ricardo plc is the company that Ferrari turned to for its first automatic transmission (in the 456 GT), and the Volkswagen Group did for the Bugatti Veyron dual-clutch transmission. And since 2011, it's been producing engines for McLaren Automotive. 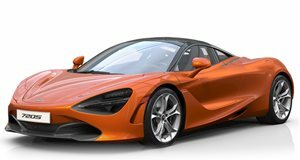 In fact it's made over 15,000 of the twin-turbo V8s that have powered everything McLaren Automotive has made since its founding, from the 3.8-liter unit in the MP4-12C to the expanded 4.0-liter version powering the 720S and Senna – including the hybrid powertrain in the P1. 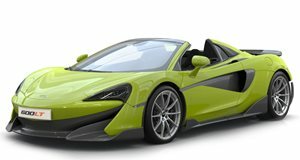 In the past year alone, Ricardo has made nearly 5,000 of them, which goes to show just how quick McLaren and its suppliers have ramped up production now since the introduction of the Sports Series. This latest deal is the third signed between McLaren and Ricardo, and it's the largest the latter has ever undertaken. The exact parameters (like frequency and duration) weren't disclosed, but it's slated to include 18 new models (or derivatives thereof) – including hybrids – under Woking's Track25 business plan. That'll mean expanding its operations to add capacity and flexibility.